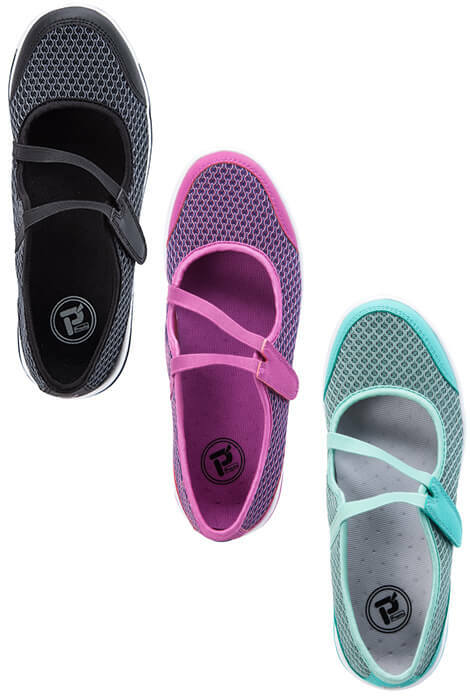 Propet® TravelActiv Mary Jo Women's Mary Jane has a two tone mesh upper with mesh lining. 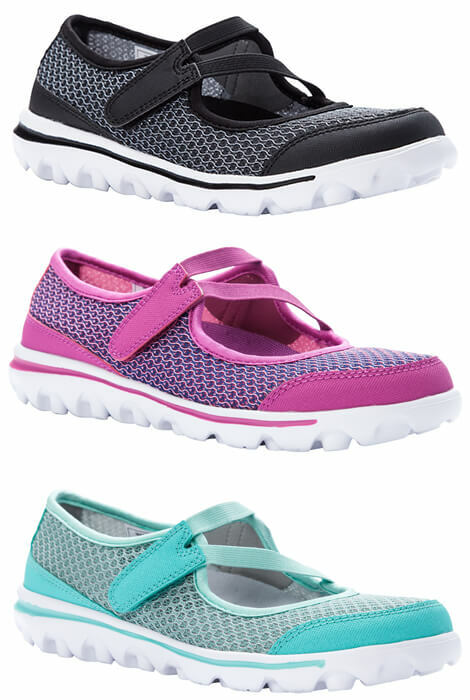 This women's shoe features a hook and loop closure at instep for adjustable comfort. 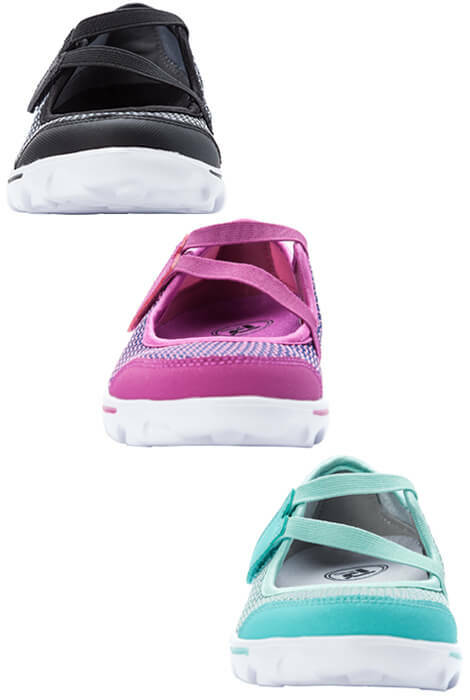 Includes a cushioned removable EVA insole. 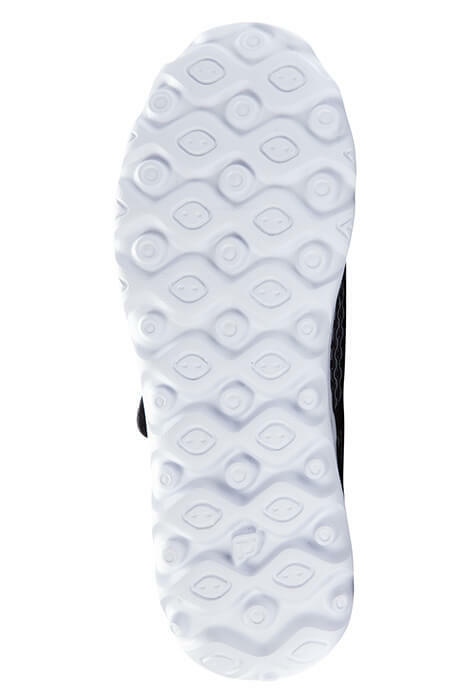 Lightweight TravelTek™ EVA outsole for durability and traction. 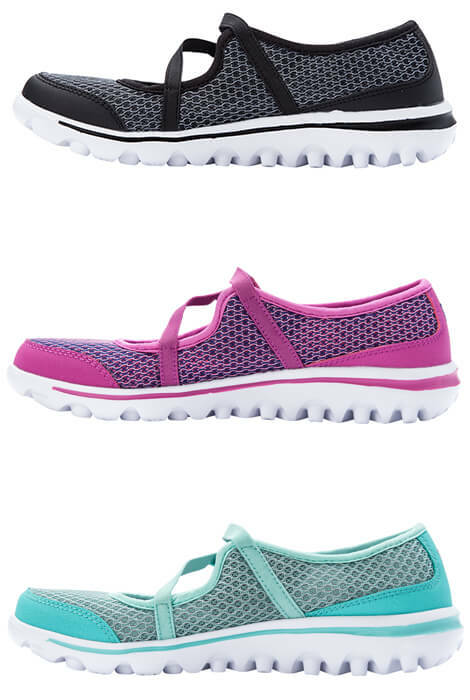 No express shipping.